The science of growing fruit is complex, but Otto takes the mystery out of it. Anyone can throw a few seeds into the ground and end up with a couple of radishes. However, harvesting a passel of pears from a backyard tree is a bit more challenging. Among the obstacles to producing a delicious Bartlett pear from an espaliered specimen are blight and fungus, insufficient sun hours, planting the wrong variety for your region, under- and overwatering, and lots of pests, to name but a few. 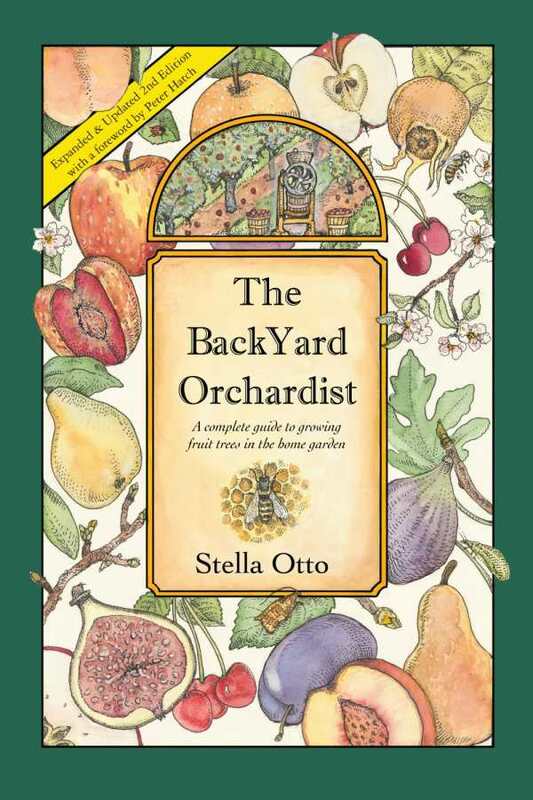 Luckily, The BackYard Orchardist, by Stella Otto, can help home gardeners eliminate those impediments and ensure they will reap what they sow. This is the expanded and updated second edition of the award-winning reference book, which was first published twenty years ago and has sold over 85,000 copies. The new version has additional info on growing historical fruit such as figs, quince, and medlar. There’s also a new chapter on growing dwarf varieties in containers, and those who garden organically will be happy to see the new tips on natural tree care. Appendices include valuable info on how to revive sick trees, a monthly almanac, lists of nurseries that sell fruit trees, and a glossary of gardening terms. The BackYard Orchardist is a must-have reference book for anyone who wants to grow the best fruit possible with the least amount of trouble. It’s chock-full of information presented in a format that makes it attractive to both beginners and experienced orchardists.